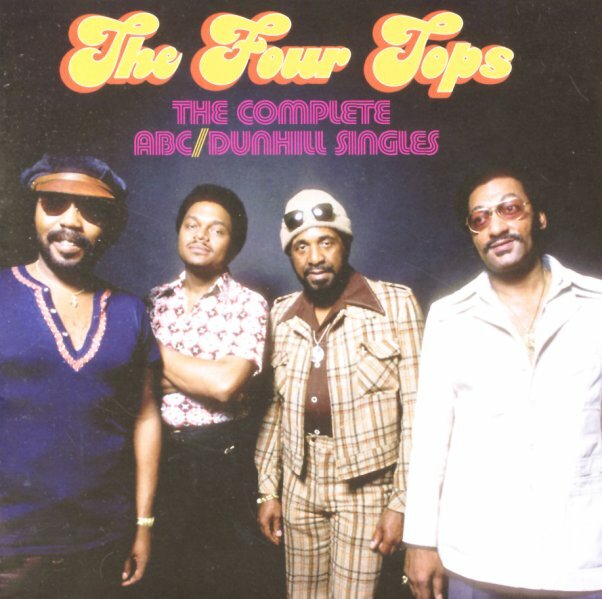 You might normally associate the Four Tops with Motown – and the famous quartet certainly rose to fame in Detroit – yet during the 70s, the group also moved to ABC Records, where they cut some completely sublime material too! At some level, the move might have been warranted – as the Tops never got the same sort of special handling in later years that the Temptations were getting – and it's almost as if the move to ABC really helped the group open up and sound a lot more righteous for the 70s! Production on many numbers is by Dennis Lambert and Brian Potter – usually working with Steve Barri – and the sound is full and rich, but still a marvelous showcase for the lead vocals of Levi Stubbs, and the backing from the rest of the group. CD features 35 tracks in all – a fantastic introduction to these years – with titles that include "Keeper Of The Castle", "Are You Man Enough", "Am I My Brother's Keeper", "Inside A Brokenhearted Man", "Peace Of Mind", "Sweet Understanding Love", "Main Street People", "Ain't No Woman Like The One I've Got", "One Chain Don't Make No Prison", "Drive Me Out Of My Mind", "We All Gotta Stick Together", "This House", "Strung Out For Your Love", and "The Show Must Go On". © 1996-2019, Dusty Groove, Inc.